Every industry has an array of gadgets that aim to save time and labor, and the irrigation industry is no exception. There are many tools and accessories contractors can add to their arsenals to get the job done quickly and keep their clients’ systems running efficiently. Irrigation contractors and industry experts share some of their favorite items that contractors should have on hand. One basic tool that irrigation contractors should use is a pressure gauge and the adapters to go with it, says Jeffrey Knight, director of learning and development for Ewing Irrigation & Landscape Supply, headquartered in Phoenix. Pressure gauges are used to diagnose pressure problems in an irrigation system and help contractors isolate pressure restrictions. They also can be used to determine if the static pressure at the property is sufficient for the irrigation system before it’s installed. 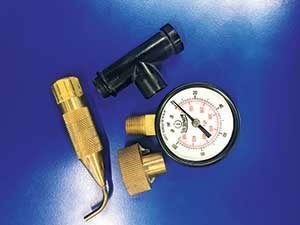 There are a number of adapters—such as a hose thread adapter, a Pitot tube and a sprinkler tee adapter—that contractors can use to perform more specific pressure testing. Pressure gauges and adapters cost around $50, Knight says. “Irrigation contractors need a good multimeter, and they need to know how to use it,” says John Taylor, president of Taylor Irrigation Services in Houston, a $1.3-million company that provides 80 percent irrigation, 15 percent drainage and 10 percent lighting services to a 90 percent residential, 10 percent commercial clientele. A multimeter can be used to test and diagnose all the electrical components of an irrigation system, including the power source, the transformer, zone connection ports or modules, wires and solenoids. 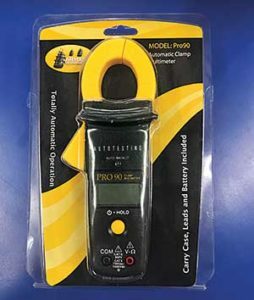 It also can help contractors diagnose electrical issues, such as loss of power, dead modules, shorts, cut wires and bad connections. Basic multimeters can cost from $20 to $40, while higher-end units that can be used on two-wire jobs can cost from $200 to $300. 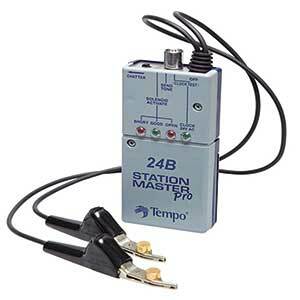 Another tool Taylor suggests is a station master, which is essentially a multimeter focused specifically on low-voltage irrigation that takes the guesswork out of troubleshooting electrical issues. Taylor says this tool is not as robust as a multimeter but does most of the same work. He advises contractors to also purchase a toning wand, which helps make sense of messy wires. Since most station masters do not come with a grounding rod, Taylor buys a small gauge steel rod from a big box store, cuts it into nine-inch pieces and then bends the last few inches of one end to make a mini grounding rod that fits in the pouch that the station master comes in. Contractors can expect to spend between $100 and $200 for a station master, which can be purchased with or without the toning wand. In addition to being an irrigation contractor, Donofrio is also the inventor of the Micro-Zipp, a handheld device that allows technicians to quickly and easily insert drip emitters and barbs into a variety of polytubing. 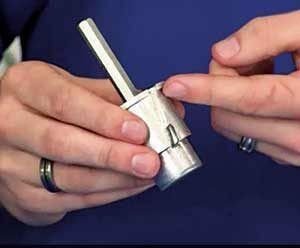 Unique to microirrigation installation, the tool inserts emitters directly into standard 0.5-, 0.75- and 1-inch polytubing in one step. 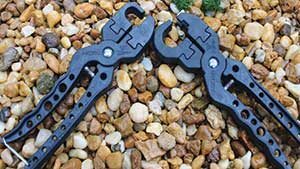 Often, irrigation technicians have to prepunch holes into the polytubing with screw drivers or other sharp objects, which can be an unsafe, time-consuming task. For large installations, contractors also may experience hand soreness and fatigue. The Micro-Zipp handles cost from $20 to $25 and each individual Zipp socket costs around $4. Knight says a cable saw is another useful tool always found in his bag. A cable saw is a thin cable with handles on either end that can be used to cut PVC pipe by sliding it back and forth. It’s especially helpful in tight spaces where contractors don’t have enough room to work with a traditional saw or pipe cutter. Cable saws can also save contractors time by allowing them to work in the right area without creating a larger area to work in, which, in some cases, means removing concrete or other hardscapes. 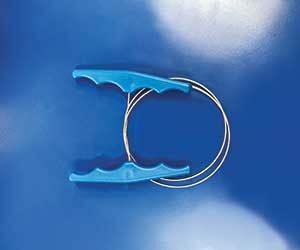 Knight says these inexpensive tools can cost as little as $5. Knight also recommends a fitting saver, which removes pipe from glued joints so a new pipe can be inserted. A fitting saver saves fittings that would otherwise be unusable when a pipe breaks inside them. The accessory fits on most portable electric drills and comes in 0.5-, 0.75- and 1-inch sizes. Being able to save and reuse fittings allows contractors to do repairs a lot faster. Fitting savers cost around $65 each.